Chinese government censors are reading Australian publishers’ books and, in some cases, refusing to allow them to be printed in China if they fail to comply with a long list of restrictions. Publishing industry figures have confirmed that the censors from the State Administration of Press, Publication, Radio, Film and Television of the People’s Republic of China are vetting books sent by Australian publishers to Chinese printing presses, even though they are written by Australian authors and intended for Australian readers. Most major religions are also on the sensitive list, as well as a long list of Chinese, or former Chinese locations, most relating to current or former border disputes. The printer’s guidance says these things can be published after vetting by censors. Sandy Grant, of publisher Hardie Grant, said he had scrapped a proposed children’s atlas last year because the censors ruled out a map showing the wrong borders. (probably to do with Chinese claims about Taiwan or Tibet). European alternatives were considered economically unviable. A printing industry source who works with Chinese presses confirmed that the rules, in theory, had been in place for a long time, but that, all of a sudden they’ve decided to up the ante. They’re checking every book; they’re very, very strict at the moment. I don’t know how they’re reading every book, but they definitely are, the printer said. The change had happened in the past few months. 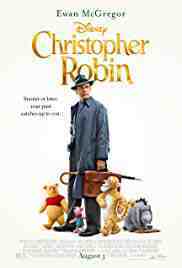 Christopher Robin is a 2018 USA children’s musical by Marc Forster. Starring Hayley Atwell, Ewan McGregor and Chris O’Dowd. The Children’s film Christopher Robin has been banned by Chinese film censors. No reason was given for the denial, but a source pinned the blame on China’s crusade against images of the Winnie the Pooh character, which is widely used as a mocking representation of the Chinese leader Xi Jinping. Last summer, authorities began blocking pictures of Winnie the Pooh on social media when bloggers drew comparisons between the pudgy bear and Xi, which has put the country’s censors in overdrive. In June, Chinese authorities blocked HBO after Last Week Tonight host John Oliver mocked Xi’s sensitivity over being compared to Winnie the Pooh. 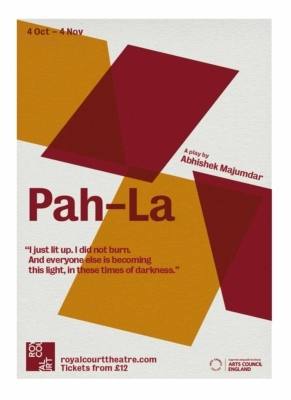 The London theatre, once known for its groundbreaking international productions, is facing questions after Abhishek Majumdar revealed a copy of the poster for the play Pah-la , bearing the imprints of the Arts Council and the Royal Court along with text suggesting that it was due to run for a month last autumn. Majumdar claimed the play was withdrawn because of fears over the possible impact on an arts programme in Beijing, where Chinese writers are working with the publicly funded theatre and British Council. The play was in development for three years and rehearsals had been fixed, according to Majumdar, who claimed that the British Council had pressurised the theatre to withdraw it because of sensitivities relating to the writing programme. The Royal Court always seeks to protect and not to silence any voice. […BUT…] In an international context, this can sometimes be more complex across communities. The Royal Court is committed to protecting free speech, sometimes within difficult situations. 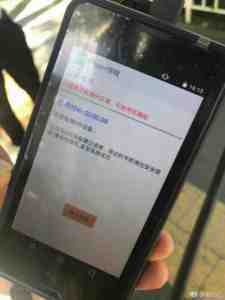 Residents of Xinjiang, an ethnic minority region of western China, are being forced to install spyware on their mobile phones.On July 10, mobile phone users in the Tianshan District of Urumqi City received a mobile phone notification from the district government instructing them to install a surveillance application called Jingwang (or Web Cleansing). The message said the app was intended to prevent [them] from accessing terrorist information. Jingwang is a protection service with an adult and child categorization system introduced by Jiangsu Telecom. The main function is to block pornographic websites, online scams, trojan horses, and phishing sites; to alert users of how much time they spend online; and to enable remote control of one’s home network. The tool is intended to help kids develop a healthy lifestyle by building a safe web filter for the minors. Of course, any tool with these capabilities could be used in multiple ways. For example, the app’s remote control feature could enable state actors or even hackers to manipulate or steal from a person’s home network. Authorities from Xinjiang are checking to make sure that people are using the official Jingwang application. A mobile notification demanded people install the app within 10 days. If they are caught at a checkpoint and their devices do not have the software, they could be detained for 10 days. This is a setback on the development of technology. They forced people to use devices designed for the elderly. It is a form of confinement by through surveillance technology. We are back to Mao’s China. Without users’ consent, the code can bypass Android’s permission model. This could allow anyone interested in a mobile user’s data — from government officials to malicious hackers — to execute remote commands with system privileges and even reprogram the devices. Kryptowire’s research reveals that the collected information was protected with multiple layers of encryption and then transmitted over secure web protocols to a server located in Shanghai. The data transmission occurred every 72 hours for text messages and call log information, and every 24 hours for other personally identifiable information. ADUPS also explained that the “accustomed” firmware was ‘accidentally’ built into 120,000 mobile products of one American phone manufacturer, BLU Products. After BLU raised the issue, ADUPS explained that the software was not designed for American phones and deactivated the program on Blu phones. China’s newly passed Cybersecurity Law has provided legal ground for the smartphone’s backdoor operation. The law requires “critical information infrastructure operators” to store users’ “personal information and other important business data” in China. China’s film censorship rules ban the depiction of ghosts under the restrictions that movies must not promote cults or superstition. 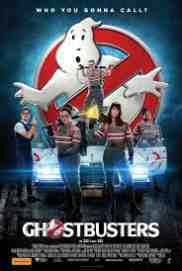 The rule is a euphemism for banning movies depicting, or promoting, religion, but nevertheless it is used to ban anything more widely supernatural.Obviously Hollywood was considering the possibility of a Chinese release of Ghostbusters as it had generated publicity under a new local tile without the word ‘ghost’, Super Power Dare or Die Team. However the China Film Co., the dominant state-owned film body that handles the import and release of all foreign movies in the country, has decided not to release Ghostbusters. Most of the Chinese audience didn’t see the first and second movies, so they don’t think there’s much market for it here. Sony isn’t commenting, but a Hollywood source with knowledge of the situation says the film hasn’t been officially submitted for approval by Chinese film censors.